Please enjoy my latest video and portrait series featuring some of my favorite girls wearing gorgeous Hermès scarves in celebration of the house’s new virtual destination dedicated to women’s silks, “La Maison des Carrès“. Launched this September, “La Maison des Carrès” on-line boutique features stunning “rooms” filled with carrès of various themes including: the saloon, the cinema, the treasure room and the color kitchen. There is also a space for the boys called “The Break”, because it wouldn’t be very nice to leave them out, would it? (Wink) A tour of the rooms reveals more than 600 scarves, twilly scarves and stoles – I know, for scarf lovers, this house is better than the best candy shop (even those that still carry fireballs and junior mints ;-)). Stunningly detailed, the rooms were illustrated by Hermès collaborator Pierre Marie who filled the building with brilliant colors, gorgeous furniture and other infinite features that lend themselves generously to the ever-evolving nature of the maison. Seasonal collections, special collaborations and timeless silk icons – this is their home now. Fabiana – The foulard is the most underestimated accessory ever. 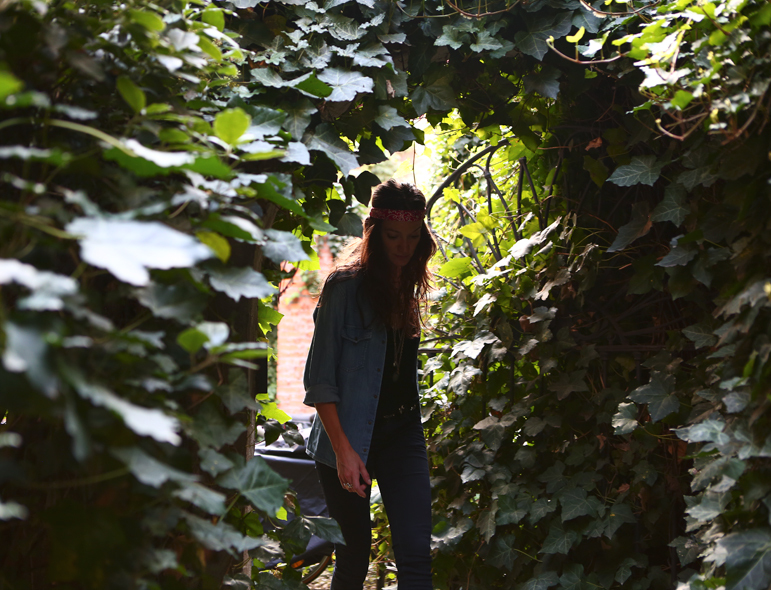 Gaia – The essential is what, at first glance, you thought you could do without. Sara -Prints, shades of blue and copper red. I love how the Hermès scarf goes through my hair in a game of beautiful colors. It gives a very chic allure to a basic casual look. 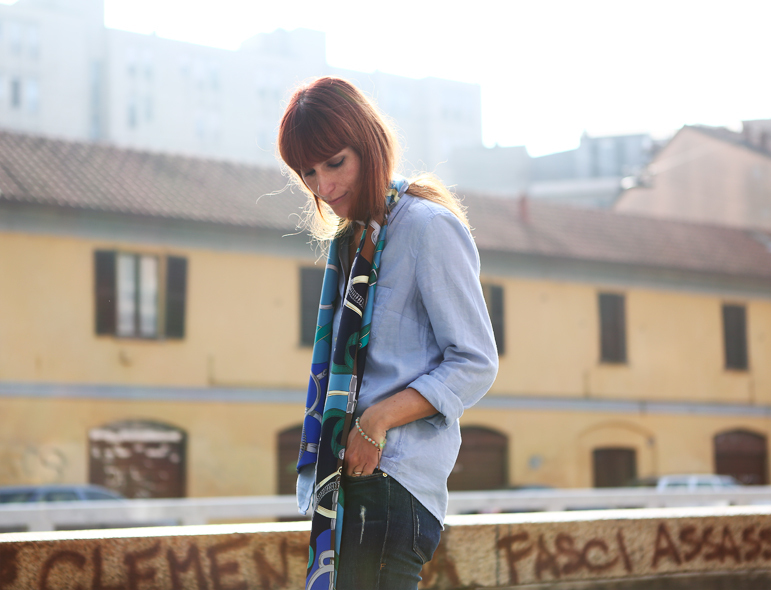 Francesca – The foulard is a piece of art. You can wear it in every occasion, with whatever look you’re going for. Martina – The foulard is either the emblem of a chic, bourgeois lady or of a nonconformist bohemian one. You can be whoever you want just by changing the way you knot it. 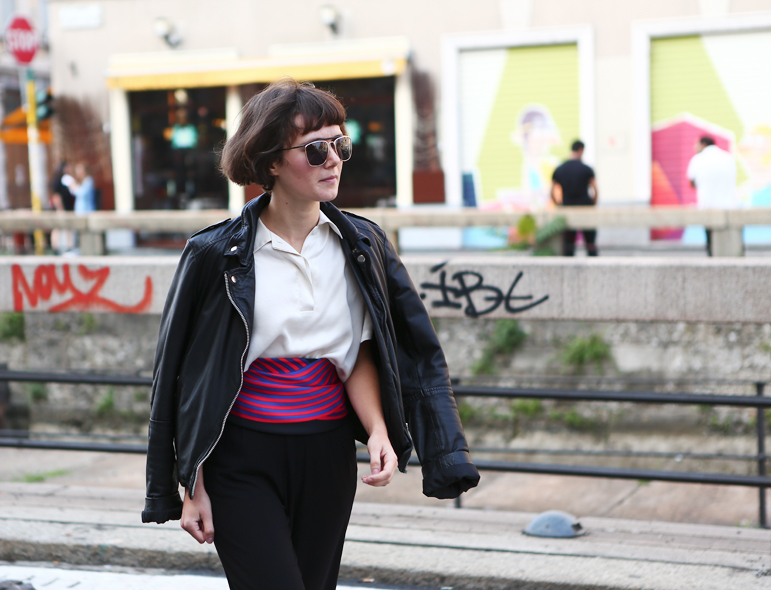 Agnes – The foulard represents that final touch in my best looks and my life saver on those days when everything that comes out of my closet seems boring. Michela – What I love about the foulard is the elegance of its extreme simplicity and its inimitable ability to transform itself. Sun – Foulard is fashion’s white canvas, you can draw whatever you want, even your dream. 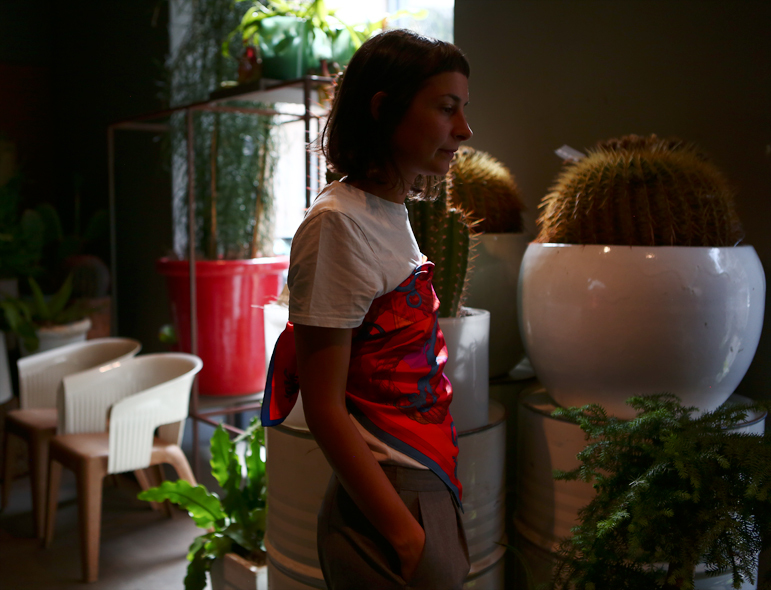 Giorgia – The foulard is an accessory that brings me back in time. It makes me think about the 60s icons like Brigitte Bardot in Saint Tropez, about summer memories and faded pictures. It is THE classic and turns each outfit into a very sophisticated one. 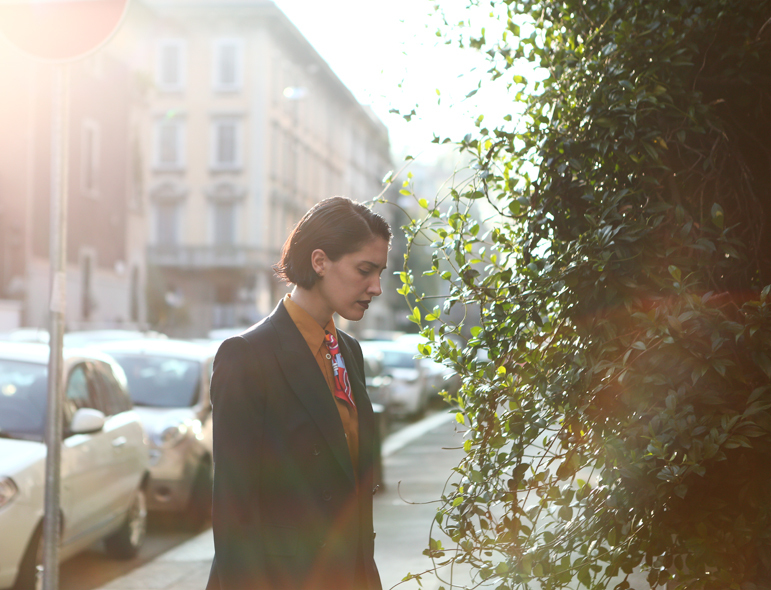 Silvia – The foulard is an instant reminder of the 70s. Whether you tie it on your wrist, your waist or on your head…there’s always something 70s related to it. In this case, I decided to wear it as a bandana, which is my personal signature in many looks.